Rockefeller Plaza is always transforming. From the towering Iron Throne heralding a big night for Game of Thrones, to the Channel Gardens in bloom, to the Frieze art fair touching down at the end of April, there's lots to experience all around Rock Center this spring. 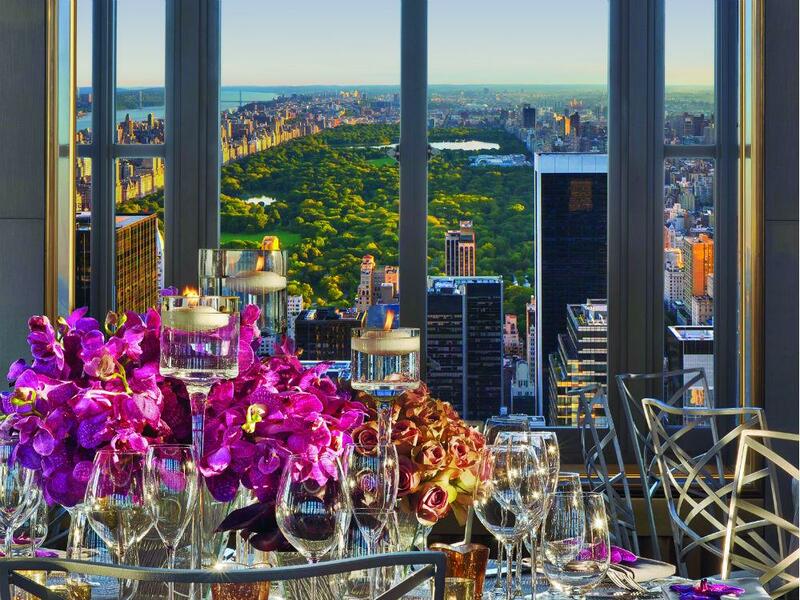 At the Rainbow Room, Sunday brunch has relaunched for three special holidays: Easter, Mother's Day and Father's Day. Make reservations here. And in the adjoining Gallery Bar, the pop-up Bubble Bar takes place on three Fridays this month, beginning at 5pm: April 5, 19 and 26. On the same floor, Bar SixtyFive is embracing springtime with lively cocktails, opening up the terrace on sunny days. Another Friday fete: Christie's Lates on April 5 (6–8pm) offers a DJ-fueled opportunity to explore the galleries and peruse designs with an "art of travel" theme. And for more Easter options on April 21—along with the Fifth Avenue parade that's famous for its fancy hats—Rock Center visitors can have a holiday feast at The Sea Grill and Rock Center Café. Check out our guide to other celebrations and prix fixe menus at restaurants around the complex this spring. For families, Spring Sunday is free day of playing and artmaking taking place on April 14 (1–4pm) at Rockefeller Plaza. Dan + Claudia Zanes will perform, while NYC artist Hein Koh, whose colorful installation "Braving the Cold" went on display at Rock Center this winter, will be leading kids in a workshop called "The Garden of Just Delightful"; art created during the session will later go on display in the Concourse. There will be also be face painting, a photo booth, demos from FAO Schwarz and samples from Sugarfina, Jacques Torres and other Rock Center favorites. Hitting the Top of the Rock observation deck, touring NBC Studios or Radio City Music Hall, or taking a last spin for the season on the Rink are more ways to keep the fun going with family and friends. Stay tuned for more information on tours and kids' activities connected to Frieze Sculpture at Rockefeller Center, a public exhibition of work by 14 contemporary artists, opening April 25. See a map of Rockefeller Center here.